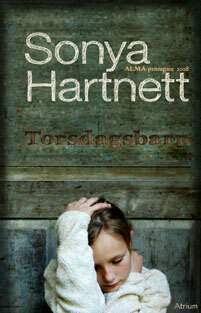 To the delight of Sonya Hartnett’s fans in Sweden, Thursday’s Child has just been published in by Atrium Förlag. This week the book is reviewed by Anna Ehn in UNT and she is overwhelmed by the book, saying it is a pure joy Thursday’s Child finally is available in Swedish translation. The translation is by Helena Ridelberg, a name Swedish Sonya Hartnett readers certainly will recognise! Although Anna Ehn has been impressed by Sonya Hartnett before, she says Thursday’s Child without a doubt is the best one she has read so far. Finally, she recommends everyone to place it high on this fall’s to-read-list. Today the Polar Music Prize will be awarded to Björk, the experimental musical genious from Iceland. In the Polar Music Talks proceeding the award ceremony, she repeatedly returned to the influence of Astrid Lindgren. She didn’t grow up with Disney. For her, the literary characters of Astrid Lindgren were far more important. 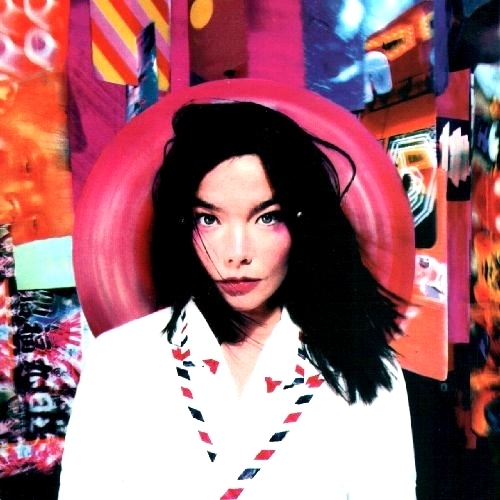 “I have, just like Pippi Longstocking, problems with authority”, Björk admitted. Björk also has a strong connection to another prolific children’s book author/illustrator: Tove Jansson. Björk recently spent a weekend on Tove Jansson’s island Klovharun and she’s the composer of the soundtrack to the forthcoming 3D-adventure: Moomins and the comet chase. You can watch the video to Comet Song here! The Award Office says congratulations! With the hand of a fairy! 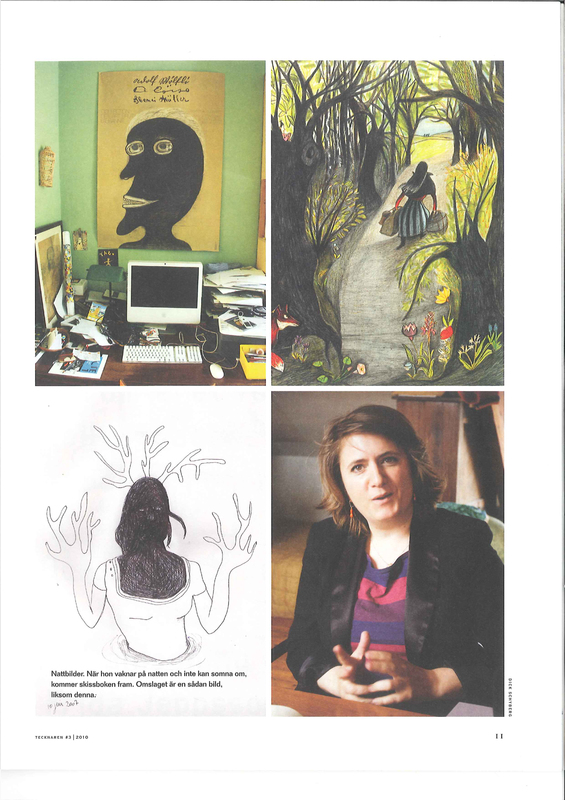 The fitting headline comes from Le Vif, Belgiums leading weekly magazine, portrait of Kitty Crowther in their current issue. Not only does it’s weekend supplement contain an interesting article on the work of Kitty Crowther, but the magazine is filled with illustrations by Kitty Crowther, made exclusively for this issue. 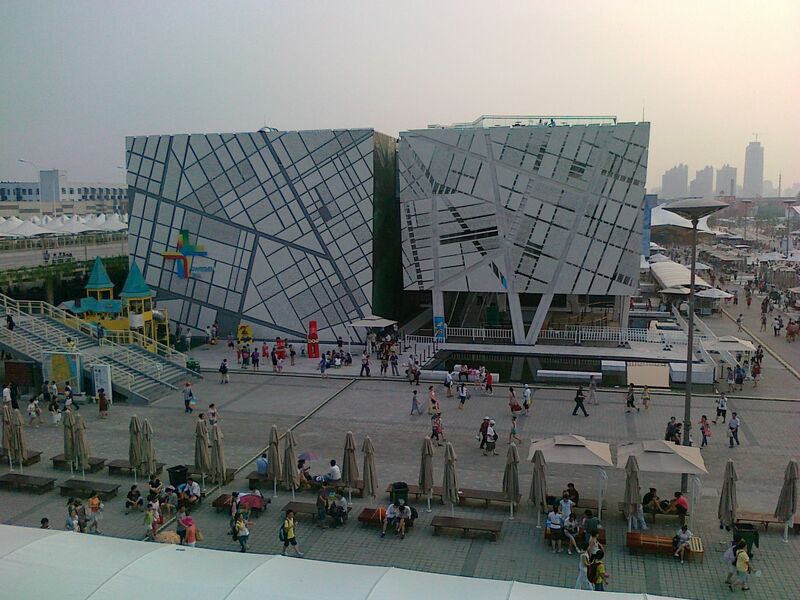 They illustrate articles on architecture, fashion and business. The Award Office especially adores the meeting between Pippi Longstocking and fashion designer Paul Smith. The man is covered in his signature stripes, a fashion statement that rhymes with the socks of Astrid Lindgren’s heroine. Bookbird is the journal of international children’s literature published by IBBY. And now all back issues from 1963 (!) to 2008 are available online. Yes, that’s right – 45 years of articles. Now that fall is approaching, it’s the perfect webpage for a rainy day. David Almond will soon receive his gold medal from the Hans Christian Andersen Award Committee at the IBBY international congress in Santiago de Compostela. Don’t miss this interview with the man of the hour! The current issue of Tecknaren features a long interview with this year’s winner of The Astrid Lindgren Memorial Award: Kitty Crowther. The magazine cover shows one of Kitty Crowther’s illustrations made at midnight. When she wakes up and can’t fall a sleep, she picks up her sketch book and starts to draw the most fascinating creatures. 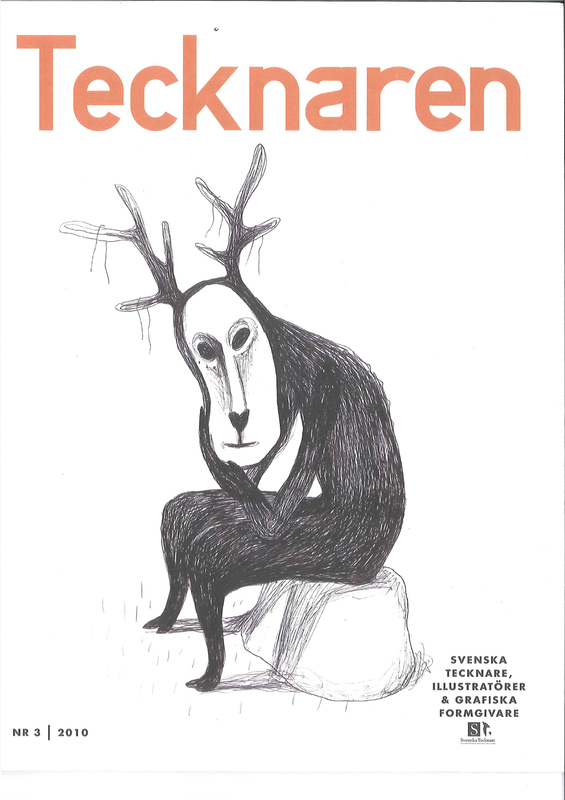 The magazine Tecknaren is published by Svenska Tecknare, the member organisation for Swedish illustrators. Children’s Literature seminar a hit! reported China Daily after Chinese and Swedish children’s literature experts met in the Swedish pavilion at the World Expo in Shanghai. The seminar dubbed In the footsteps of Astrid Lindgren: Contemporary Chinese and Swedish Children’s Literature featured many speakers – researchers, teachers, authors and publishers. Among the speakers was Ms. Bu Wei, Professor of communication, who spoke about how Pippi Longstocking subverts Chinese tradition and Mr. Wang, Professor of literature, who gave examples of how the works of Astrid Lindgren has influenced literature written for children in China today. 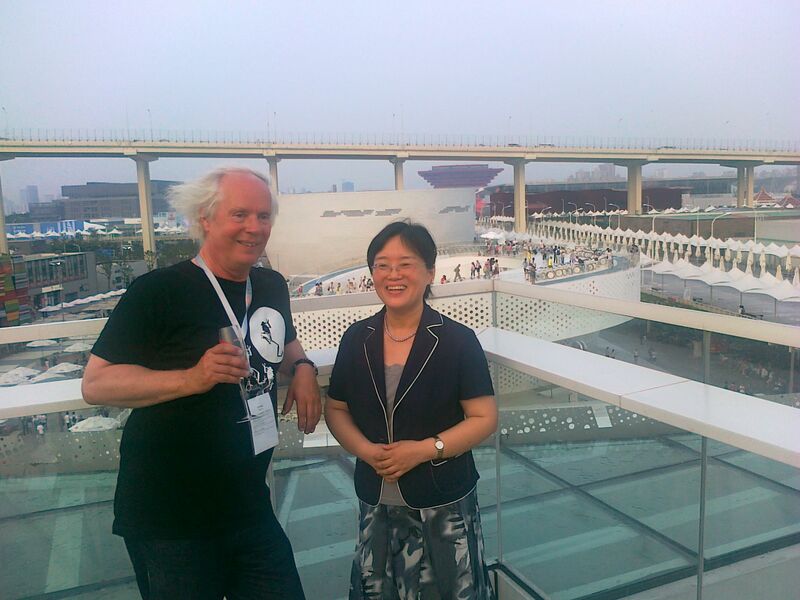 Another highlight for the audience was when they had the opportunity to meet the authors Ms. Qin Wenjun from China and Mr. Ulf Stark from Sweden, who presented their respective work and spoke of their inspiration. What they have in common, apart from being excellent writers? They have both been nominated to the Astrid Lindgren Memorial Award of course! Astrid Lindgren was first published in the end of the 80-ies in China. In the past years, China Children Publishing Group have published just about the complete works by the author from south Sweden. And successfully so. More than 1,5 million books have been sold so far. As a break away from the presentations, the audience had the opportunity to visit the exhibition in Swedish pavilion as well as Villa Villekulla, which you can spot on the picture above. 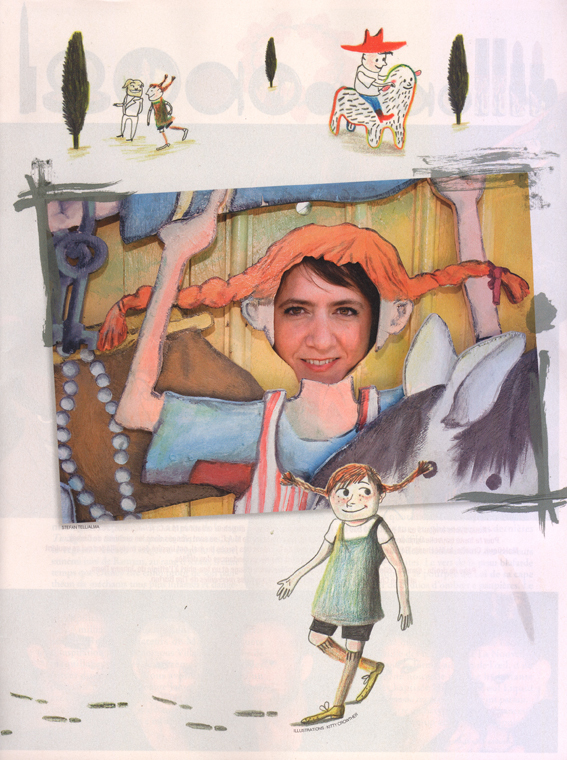 In the afternoon, the audience was shown excerpts of the Pippi Longstocking musical currently playing in China. The event was organized by the Award office together with the Swedish Expo Committee, CBBY and China Children Publishing Group. And yes, the Award office agrees – it was a hit! Summer on the Last Page? In the past couple of days: the Award Office has received copies of no less than two new Swedish translations of Award Winner books! 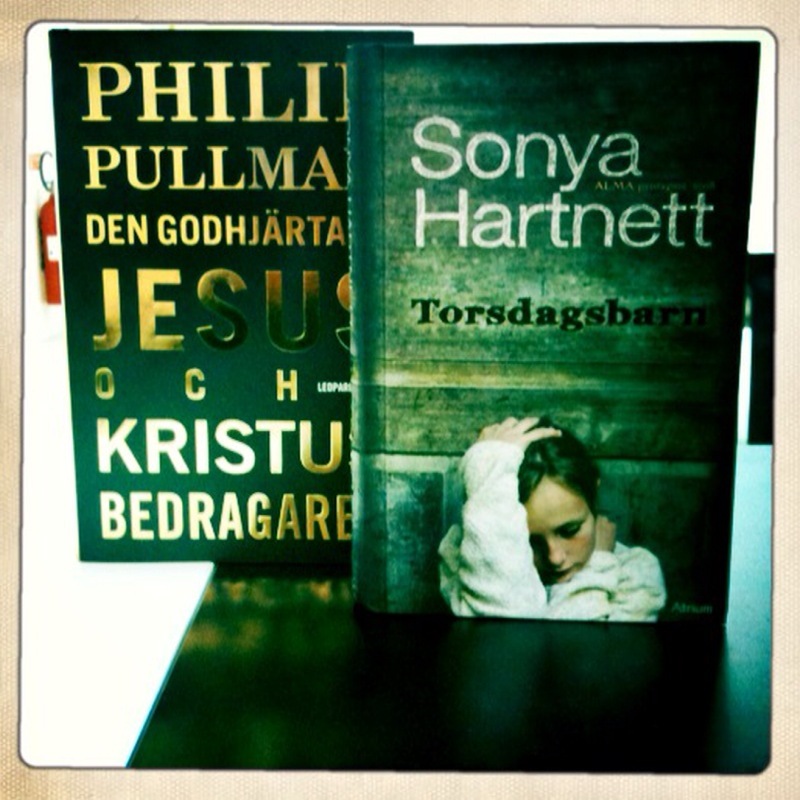 Thursday’s Child by Sonya Hartnett becomes Torsdagsbarn, while The Good Man Jesus and the Scoundrel Christ, by Philip Pullman, is called Den godhjärtade Jesus och Kristus bedragaren. A good omen for the reading season number one: autumn.